Food supplements for iron deficiencies - ESI S.p.A.
Iron is one of the most important minerals in our body: it’s essential for red blood cells and hemoglobin, which is a protein that carries oxygen from the lungs to the cells. 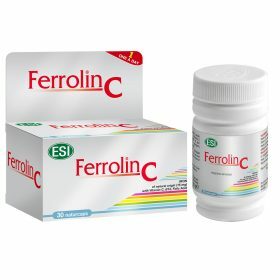 Ferrolin C is an iron supplement that is enhanced with vitamin C for better folic acid absorption and vitamin B12. 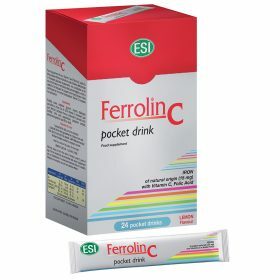 Ferrolin C is available in capsules and pocket drinks, is ideal for children, the elderly, athletes, pregnant women and for all those who suffer from an iron deficiency.